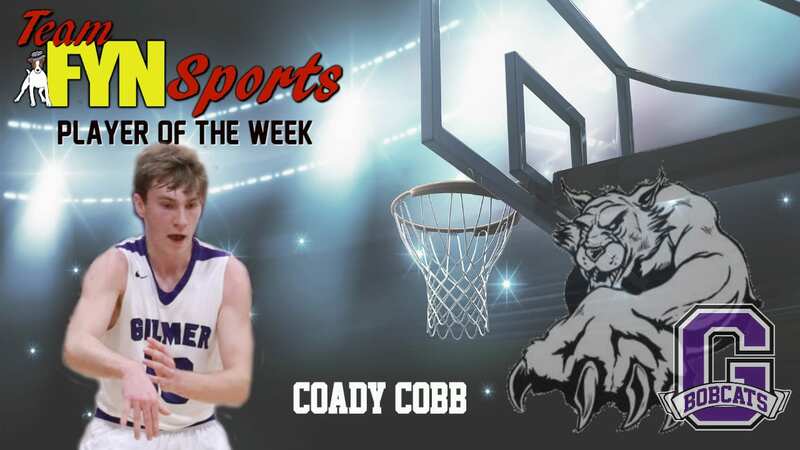 The Week 5 Team FYN Sports Player of the Week for the Gilmer Bobcats is Coady Cobb. Coady brings his A-game each and every time he takes the floor. Cobb is outstanding on the defensive side in keeping the pressure on his opponent and forcing them to take low percentage shots. The offensive side of the game has Cobb scoring close to 10 points per game on average. Great Season Coady! Congratulations on being chosen the Player of the Week.